Experience life in one of the world's most exciting cities! 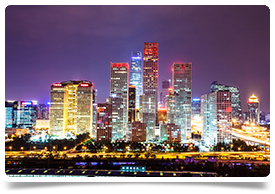 China is the world's most populous country and has one of the fastest growing economies in the world. As wealthier Chinese, and the ever expanding ex-pat population seek improved healthcare services, our client is growing significantly over the next few years to meet this demand. You will be joining an established private hospital in a healthcare company that was established 20 years ago. If you are seeking a new challenge and would like the opportunity to fast-track your career in an emerging market, please do get in touch. Based out of the main hospital you will be responsible for providing Urology services to a mix of both local Chinese patients (you do not need to be fluent in Chinese as translators are available) and ex-pats. The ideal candidate will have at least 10-15 years experience already working as a Urology specialist in another institution.